Bermuda has more golf courses per square mile than anywhere else in the world. The island's moderate climate allows for year-round play. 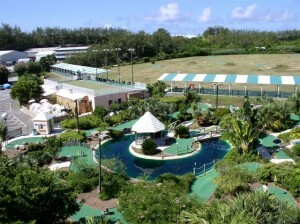 From mini golf and driving ranges to courses that have hosted major PGA events, Bermuda offers up a fine variety of golfing facilities to meet the needs of all the sports' fans. 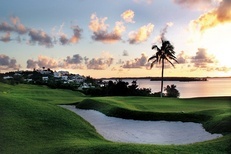 In this post, you'll learn about Bermuda's best golf courses. 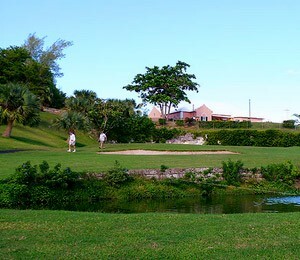 Whether you're a novice or a PGA Pro, you'll find the perfect course in Bermuda. Designed by Devereux Emmet and updated to be made more challenging by Algie Pulley. Utilization of multiple water hazards, which is unusual for a Bermudian course. Views of Hamilton Harbour and the Great Sound. Winner of Golf Digest's "Best Places to Play Golf". Ranked one of the top five par 3 courses in the world by Golf Magazine. Myriad of bunkers, two water hazards, and three tee offerings on all 18 holes. PGA Grand Slam site 2007, 2008. The 16th Hole - The 235-yard hole sits on the edge of a waterside cliff. At the back tee, you'll find a plaque containing a quote from 2009 U.S. Open champion Lucas Glover about his experience playing the hole: "Man, I've never been so nervous on a shot." The 15th Hole - This dogleg-right, downhill par 4 is located next to Whale Bay Battery where, in late winter, you can often spot humpback whales breaching off the coast. Also designed by Devereux Emmet, predating the Belmont by 2 years. Holes around the turn bring the surf into play. Champion course designed by Charles H. Banks and updated later by Roger Rulewich. Named Best Golf Resort by Travel + Leisure Golf and received the Gold Star Award for Best Corporate Golf Outing from The Bermudian Magazine. Practice facility, including a driving range, practice putting green and short game area. - King's Course, Glaneagles' "Braid Bravest"
- Old Course St. Andrews' "Road Bunker"
Golf instruction by PGA professionals. The 18-hole mini golf course is cleverly designed and beautifully landscaped and features waterfalls, lakes, streams and fountains. This provides great entertainment value and challenging play for all ages.